Concept offer a wide range of water based fog fluids to create a variety of effects. All the water based fog chemicals are manufactured from the highest quality chemicals (US Pharma grade / British Pharmaceutical). Fluid is available in a variety of bottle sizes, 2.5ltr, 5ltr, 25ltr, 205ltr or even 1000ltr. Fog Fluid A is designed to offer the most persistent water based fog effect possible. As well as have an extremely long hang time it is also the most temperature resistant water based fog fluid available. 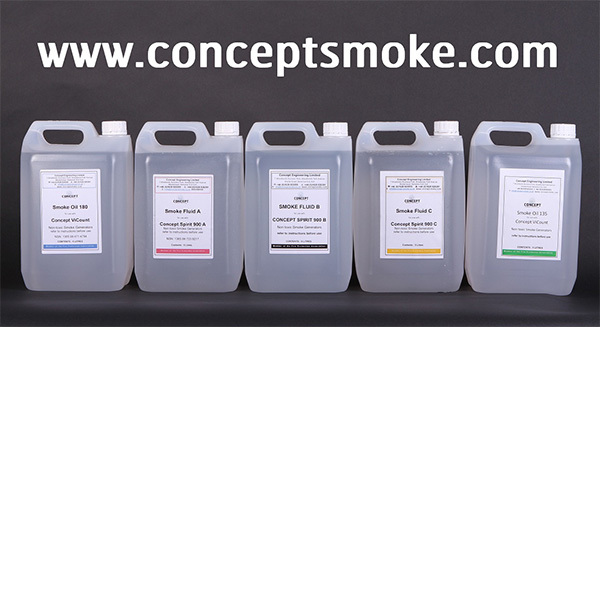 The B1 fog fluid is specifically designed for use in the B1 battery powered fog machine. It creates a very persistent water based effect.